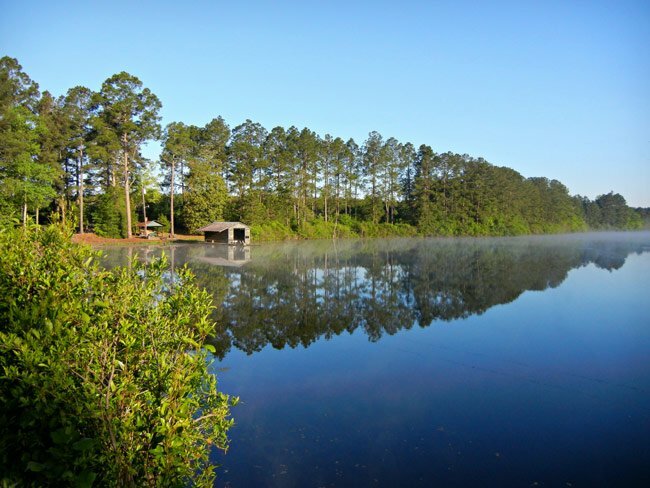 Collum Pond in Batesburg-Leesville, seen here, is a privately-owned fishing spot reputed to provide ample birdwatching opportunities as well. The Lexington County reservoir is not open to the public, though it can be seen from State Road S-32-1426; the pond sits in a rural corner of the county. We would like to make this page better. Do you have information about Collum Pond that you would like to share? If so, please send it to the South Carolina Picture Project. Thank you!